MALIBU, CALIFORNIA, US, January 12, 2019 /EINPresswire.com/ — Named LA's Top 10 New Rap / Hip-Hop Artist; RahTwoFive gives here below an exclusive interview discussing his new album “Cozy Season,” which he also gives away here “free” to fans as a sign of his appreciation for their massive support. Known on Instagram as RahTwoFive, or otherwise simply known as RaH, the Los Angeles based singer has racked up over a half-million new plays on the leading music streaming site SoundCloud. Rah now gives fans his brand new album “Cozy Season,” free here below through SoundCloud, as his gift to them to show his appreciation. Q: What is the new album about? 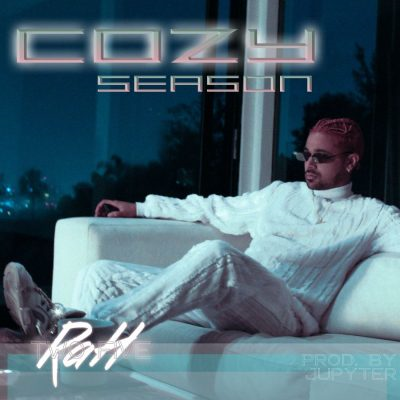 Rah: My new album “Cozy Season” is based around the topic of love and relationships. I wanted to theme it in R&B vibes for the holidays and winter season. Something a couple could relax and cuddle to get “Cozy” to. Q: Nice. What does this new album mean to you in relation to your other work? Rah: I think I’ve grown a lot on this album. This is my newest body of work so it shows where I am in my career more now. I have both singing and rapping, and a lot of great production on here. I also have four featured artists on this project, so it puts a spotlight on a few of my other connections and friends in the industry. Q: Cool. What is it like working with all of these different great producers? Rah: Actually on this new album “Cozy Season,” I did something different from what I’ve ever done and created the entire project with one producer; Jupyter from Detroit. I loved working with him, we understand each other musically and compliment each other well. We joked that we are a Quincy Jones / Michael Jackson-like duo together. Q, (Laughs) Who are a couple of other artists that would be your dream to work with? Rah: Drake, The Weeknd, Jay-Z, Rihanna, Trey Songs, Offset, Meek Mill, PartyNextDoor, and Ozuna. These are some of my favorite artists right now and I feel like we would sound really good together on a record. Q: Cool. We know you're also a fashion designer with a great label. What designers are you most excited about these days? Rah: Mahajan, Mario Marquez, and Baggage Claim; these are all brands that I either own or work with. I’m so involved with my custom couture pieces, and I truly think its the best fashion out right now. Aside from these, I like Gucci, Balenciaga, and Fendi. I think Black Pyramid; Chris Brown's clothing line is pretty cool as well. Q: Nice. What is the greatest thing that has ever happened to you, and what did this mean to you? Rah: The greatest thing to ever happen to me is being born into my family. I love my family so much, and because of them, I am who I am, and have been given the opportunities I have. I feel extremely blessed to have such an amazing support system. Find the link to the entire interview with RaH next week on the artists' official social media. In his song “Super Winner,” as seen in his official music video for that song below, RaH states that the song is about believing in himself, knowing he can achieve his goals, knowing that any obstacle will not stop him, and knowing that in the end–he will be a winner.